Learned a great tip @ last year’s Deer Processing Demonstration from Jake Rosa that I used this year while cutting up my deer. After skinning the deer, take a small blow torch & lightly burn away all the hair that sticks to the front & rear shoulders; So much easier & cleaner. 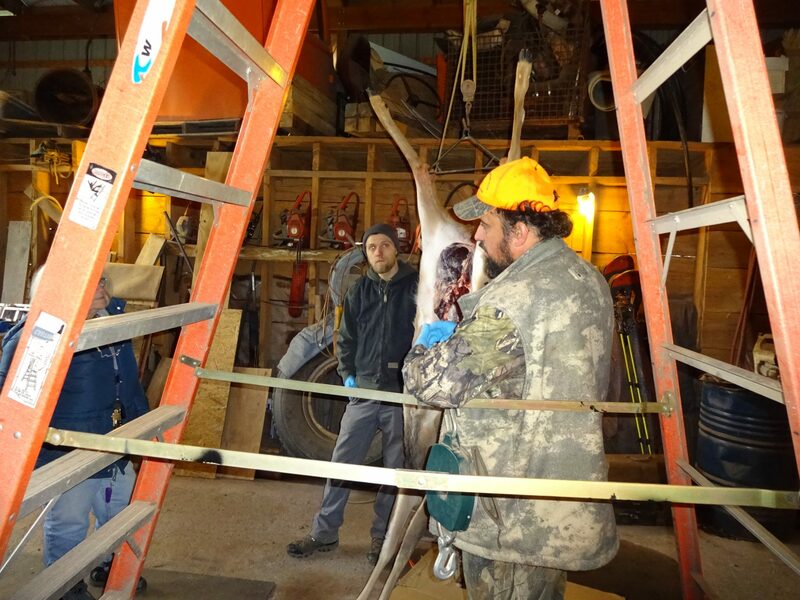 Tags: Catskill Forest Association, Catskill Mountains, deer, deer cutting Categories: What's New?